Hello friends! I have a confession: I am addicted to lattes. Well, I have been keeping my new habit under control, I only have maybe one a week. Mostly that's because I would be poor and living on the streets if I had one whenever I wanted. But let me just tell you... it sure isn't a false stereotype that Portland does coffee right. Shoot. The wondrous creation shown here is a vanilla latte from Barista and it was TO DIE FOR. We are finally getting our bedroom put together, no more living with piles of crap all over the floor. Ha ha, I'll have to get a picture while its still crazy looking. I have another confession: I have been struggling with a few things pretty much since we've moved. I would like to point out that I'm not saying these things to get compliments or attention, but just to be honest. I've been feeling completely overwhelmed with those 'what am I doing with my life' and 'let's compare myself with everyone else' thoughts. I think every one of us thinks those things once in awhile. This isn't the first time I've let those feelings drag me down, but its the first time I've let them drag me down for so long. Comparing yourself to other people can morph into this ugly, evil monster. You can start doubting and putting yourself down about everything you do. All of the sudden everything around you seems like something else you're doing wrong. A clean house, a perfectly productive day, working out, etc... those are all things everyone but you has down perfectly. Once those thoughts start rolling everything is affected. Instead of "oh darn, I didn't exercise today like I wanted', it turns into feeling defeated and giving up before you even think about putting on some running shoes the next day. But I say enough of that! No one is perfect, everyone has less than great moments. The only choice is to just keep going and not worry. I found something I absolutely love to do, sewing and photography, so I am going to keep doing those things and work as hard as I can to grow those interests. There sure as heck will most likely be someone else out there who is more successful and more talented, but that says absolutely nothing about what you are capable of. We need to be happy and excited over others successes... that is the type of person I always want to be. My biggest goal is to love people. That sounds like a simple thing, but I want that to be the filter I do and see everything through. I'm not sure what that looks like exactly, but I do know having self defeating and envious thoughts won't get me there. If you read this, congratulations for surviving my rambling! This kept almost segueing into completely different topics, multiple times, so this may not be the most coherent post ever! i so understand. i recently saw the quote "comparison is the thief of joy" and every time i start to do it, i think of that. its totally true. and really, i just want to be happy and if comparing myself to other people is going to prevent that... you get the idea. it is comforting to know i'm not the only one. 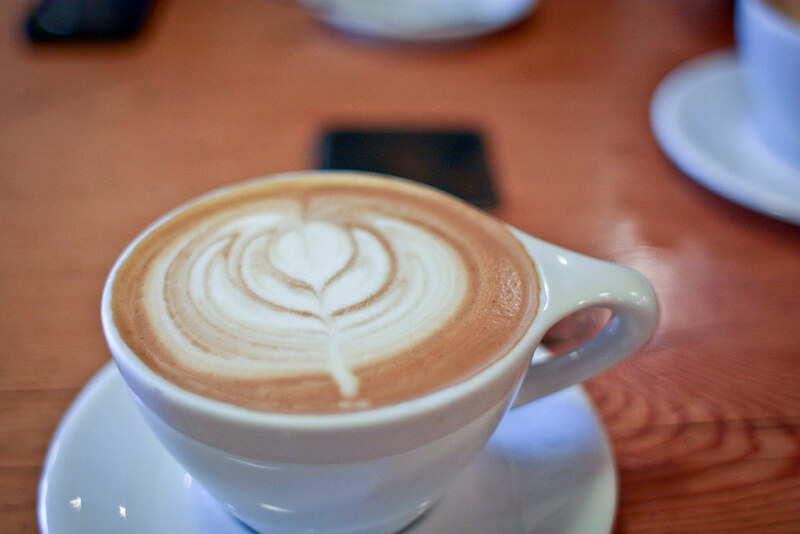 oh, and i'm addicted to the lattes at albina press. yum. I totally hear you on this. It's nagging doubts and fears like that that usually bring me to the point of just stepping away from my blog altogether for a little while (like I am now.) Its so, SO easy to get caught up in all the things you didn't do or can't do as well as "that other person." I'm always reminding myself that I'd rather have an imperfect yet AUTHENTIC life/blog/business than one that is void of the joy that brought me to these dreams in the first place. So if I'm not feeling something... I just don't do it. Haha makes life pretty simple. Anyways, I too am a rambler, but not a very eloquent one tonight. Bottom line: This too shall pass. Have as many pretty lattes as you want in the meantime. : ) Have any favorite coffee shops yet? There are so many great ones there in PDX but I just need someone to tell me which one to go to when Im there next week wandering around town. P.S. The new dresses are going to be amazing... I can not wait to see them in all their glory! Oh honey we all get like this and my answer is exercise! It always makes you feel so awesome and gives you time to think too. makes me feel powerful and confident. It is cazy what our own minds make us believe. Keep diving further into your passions because you are truly talented and it shows. If I compare you to other people, I'll find that they'd get weird if I randomly offered them some underwear. And they probably wouldn't sit in my car with me and drink coffee while Jacob napped in the backseat. So, don't be anyone else. Thanks. This post is seriously speaking to me. I doubt myself way too much and often find myself thinking everything I do is not good enough cause I dont do it as good as someone else. Not in a bad way its nice to know other people go through this too. I think for me I need to learn to relax and just do what I want and enjoy to do and not what other people are doing. ohhh Barista is good! but so is Cafe Umbria (my favorite!) YUM. yes, portland does indeed do it right. I think it's pretty normal to compare yourself to others and feel defeated sometimes. I know I've been there and am struggling with something similar. But let me tell ya, there is no joy in that my friend. and it is Jesus who has come to set us free from such thoughts! I totally hear you about this! It is nice to know I'm not alone with these feelings. I have good days and bad days. I stared my blog as a way of self-discovery and at times I have great ideas that don't quite come together and it's hard to have that not get you down especially when you see someone else really making great things happen. Refocusing your perspective back to just being happy for other people and their success and leaving it at that, without thinking that it devalues you has been huge for me with coping with these kinds of ugly feelings. Be happy for others and happy for you. You are doing very well, you are totally on the right track! This is exactly what I needed to read today, so thank you. i definitely hear you. my girlfriends and started a "creative club" last fall and we've been meeting every few weeks since. the goal of the group is just to support and encourage each other, to mention new artists or musicians or films that have inspired us lately, and to discuss our need and drive to be creative (among many other things--we are girls, after all!). last night one of the girls showed us a brilliant short film by an acquaintance of hers and another one of the girls got really sad and said it made her feel like there was no point in even trying. it's impossible not to have those thoughts once and a while. i have gotten really excited lately about the prospect of teaching myself to sew and maybe selling dresses someday, but it seems like i am so many light years behind everyone else in the blog world (that includes you!) that i'll never get there. comparison is the enemy of creativity. we all get a little bit green-eyed from time to time, but just remember that there are people out there who are envious of YOU as well! Great post, and a great reminder to all of us! Also, I am on the latte train and there's no getting off. sometimes, it's hard to keep focusing on what i am doing, when i feel like everyone around me is doing it differently, or i think is doing it better than me. I have also realized, that life are constant waves. sometimes those waves pull you down, but it wont last long...just wait to come back up. I too know exacty how you feel. Sometimes, its just that overwhelming feeling of "I should be doing something/I should be doing more" y'know? And definitely when I'm looking at some blogs, or hearing what others are up to. You seem like a lovely person, and I love the work you produce! I was initially going to write the Theodore Roosevelt quote "Comparison Is The Thief Of Joy", then I read some comments and someone had already quoted it. It is a great quote though, and so true. It reminds me that theres no-one else like me, and everyone does their own individual things at their own pace. There is another excellent one too "The race is long, and in the end it's ony with yourself." That puts so much into perspective for me. That feelings and emotions is so familiar to me either.. I just snapped myself last night after comparing and not to look my life as the whole picture. Make my close friends worried of me, ugh not what I want, it's wrong so unnecessary.. Most of the time it hits so hard on me, but hey I always try not to back down. You are amazing Vanessa, yes you are and you are loved! I'm pretty sure every chick I know does the "Let's compare myself to everyone else" thing, and it's terrible! I am definitely guilty. And I never say "Look how awesome I am in comparison!" It's always "Man, when am I going to get my sh*t together?" I try to avoid being like this, but it takes a lot of effort! thank you so much for having the courage to share those thoughts! So often other people's lives seem perfect.... *especially* in the blog world, since they're getting to pick and choose what they reveal. I feel like everyone's darn photographs look so perfectly HAPPY and it's hard to remember that Photoshop gets rid of pimples and even lovey-dovey heart-clip-arted couples have arguments and people usually clean their house before uploading shots of it. It's fun to hang out in their perfect worlds for a while, but it is enormously comforting to encounter a thoroughly REAL beautiful, talented, human (ie. flawed!) person as yourself. Your real, up-and-down striving to live and love inspires me worlds more than an equally talented person who chooses to reveal only their triumphs. I also find that the more I embrace my own silliness and messups and rejoice in the fact that I am not defined by my successes or failures, the more I'm able to fully embrace the people around me... and isn't that what love is all about? I think it's hard to post stuff like this for the fear that it will come off like you just want attention. But it's pretty obvious from all the comments that we all feel this way sometimes or a lot of the time... I think being so socially connected online causes a lot of it for me. I just have so much access to all these blogs/photostreams/facebook pages, etc. It's really easy to see how someone else is living and get myself down for not having a life as put together and exciting and seemingly important as mine. So it's good to read a post like this and be reminded: we're all just human. Thanks for just being honest and talking about what you're thinking and feeling. It must be so exciting yet tough to move totally across the country and in a completely different scene. You're not around the same kind of people. You compare yourself, of course. Just keep on trying to love people, like you said. And keep it real. Honesty is so refreshing! Thanks for sharing this! I struggle with the same thing-- I get really bogged down in guilt and insecurity, then I feel too paralyzed to take even small steps in the right direction (and sometimes I get stuck wallowing in self-pity). But I think you have the right goal in mind-- when you're focused on loving people to the best of your ability, other things somehow become less important. It's a constant struggle to avoid self-centeredness, or even just feeling bad because you're not able to accomplish as much as you'd like, but hopefully you'll be able to extend some grace to yourself and keep choosing the way of love. Again, thanks so much for sharing! You are very brave for posting your thoughts and what you are going through... for that I thank you. I know exactly what you are going through all too well. The best thing to do is to acknowledge when we do it and do our best to stop it. (Easier said than done, right?) Whenever I find those thoughts (I call them "gremlins") starting to creep back in, I stop myself, remind myself that those "successful" people struggled in the beginning as well, and I try to focus on the here & now. :) By the way, that latte looks breathtakingly yummy! I meant "spit IN its face..."
Hang in there! I have negative thoughts like those much more than I'd like to admit, and in such a "hip" place in Portland, it's sometimes difficult not to feel defeated. This is amazing. I am a coffee lover and thanks for giving me some variations in it. Now at last my tongue will get something good.